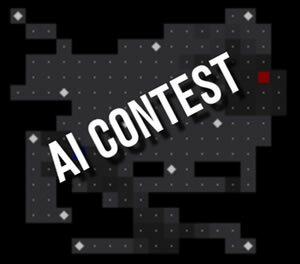 The AI contest returns! Your mission will consist of programming a robot to play a simple game for several players. The robots will compete amongst themselves and there will be prizes for the makers of the best examples of artificial intelligence. This year, we will maintain the same challenge of previous years: the Laser Lamps game. You may consult the documentation and download examples and the game engine at the followin repository. The bots are executed in Arch Linux in a separate process with stdio communication. The game is played by turns (not in real time). Bots may be developed in any programming Language available in the official repositories of Arch Linux, and a README file should be included with the list of dependencies and compilation instructions. You will find an example written in Python in the GitHub repository previously mentioned.